Fortunately, the problem was solved before the ceremony took place. She joined 20 artists, athletes, activists and more who received the honor from President Barack Obama. 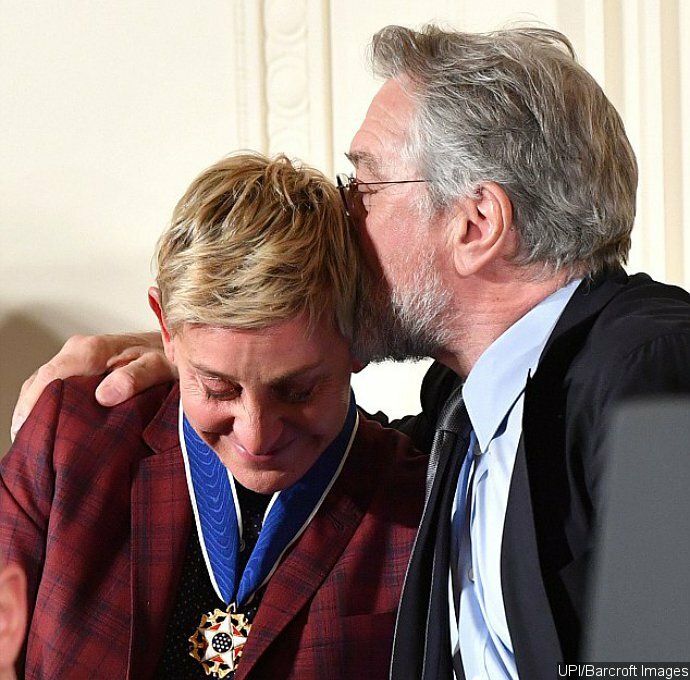 Ellen clearly couldn’t contain her emotions as the POTUS fastened the blue-ribboned medal around her neck. She was still crying after she returned to her seat. Fellow recipient who sat next to her hugged her and planted a sweet kiss on her head to comfort Ellen. She was joined by her wife , who was dressed in a white top and black skirt with pumps, at the event. While at the White House, Ellen and other guests didn’t miss the chance to take the Mannequin Challenge. 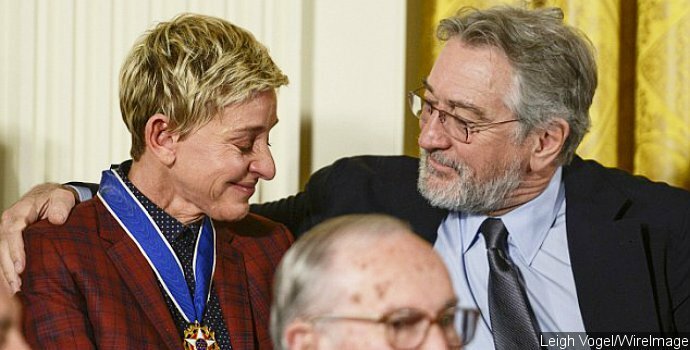 The talk show host, fellow Medal of Freedom honorees Robert De Niro, , , , Bill Gates and Kareen Abdul-Jabbar, as well as Portia De Rossi, and many others joined in on the fun. Look what we got everyone to do! I’m in the pink dress laughing with Rita! It��s the #MannequinChallenge, Presidential Medal of Freedom Edition at the @WhiteHouse!! Starring #RobertDeNiro, @RitaWilson, @TheEllenShow, @KareemAbdulJabbar_33, @TomHanks, #BillGates, #MichaelJordan, @FrankGehry, my mama #DianaRoss, and more! This year’s Medal of Freedom recipients also included Melinda Gates, , Lorne Michaels, , Vin Scully and .